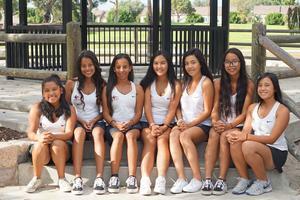 Varsity Girls Tennis Honored with 3 Major Awards and Head to CIF! Lobo Athletics wants to congratulate our Varsity Girls Tennis Team with an outstanding season this year. At the post season meeting held last week our Lady Lobos cleaned up by winning all 3 major awards. Our coach, Tim Dang, won Coach of the Year. The entire team won the Sportsmanship award, and Lyna Nguyen won the Player of the Year award. Congratulations Lyna! That award has not been won by a Lobo in over 20 years! The Ladies now head into the CIF playoffs next week. Stay tuned to find out where. Good luck ladies and we are very proud of you!